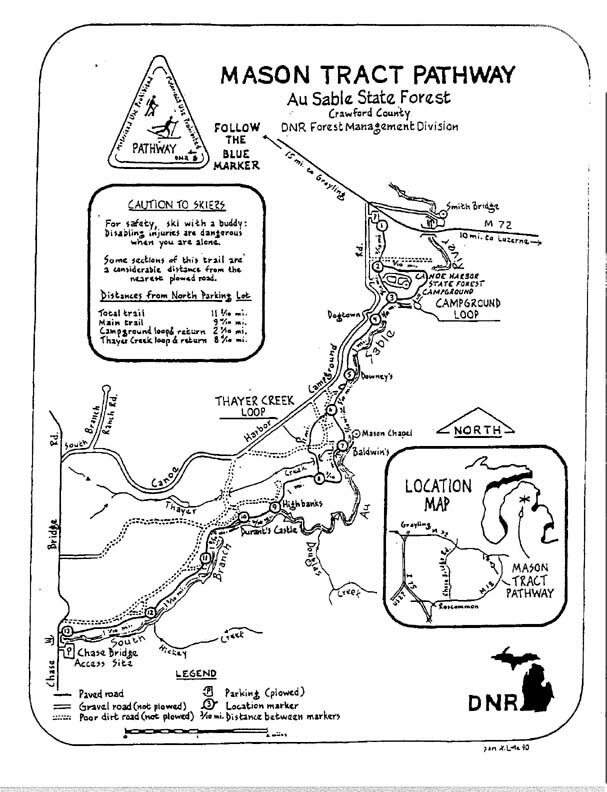 Wow, the highest & fastest paddle for me ever (except as a canoe racer) on the S Branch of the AuSable at 500 vs 300 cfs, which resulted in all of the accesses being underwater, at Durant's Castle, the Chapel & Canoe Harbor Campground. Mark Gottsleben, Chipper & I started our all-day event hiking 12 miles on the Mason Tract from Smith Bridge back to my car at Chase Bridge in 3:15 hrs, plus a 20 min lunch break. There, we met Bob Fitch to paddle the 10 miles back to Mark's truck at Smith Bridge in 2:15 hrs, enjoying the rich color of the tannin, the riffles, a beaver lodge & 6 pr of nesting Canada geese on the only area not under floodwater, a lawn near M-72. Mark had never hiked the Mason Tract & can't wait to xc ski it next winter, yee-haw! The only wildflowers were hepatica, though I spotted some trillium along M-72. We also enjoyed watching an eagle soaring above the river. On my drive through Roscommon, I passed by the MCRA race & reminisced my good ole C-1 & C-2 racing days, and this challenging, early season race, downstream to Steckert Bridge, a buoy turn & back upstream, whew! Glad to enjoy more recreational paddling today with great friends, and pizza afterwards with Mark (Chipper left in the truck) at Paddle Hard Brewery, yum yum! Postscript: Bob & I (and Jocelyn on another trip), all agreed this was the most fun S Br of the AuSable paddle, and can't wait to do it again in high water. But, we do reconnaissance paddles every early season. And, only one little trickier "s" turn between downed branches, but no other difficult obstructions, though a fisherman told us there were 8, which Bob, Mark & I kept wondering when we would encounter them!